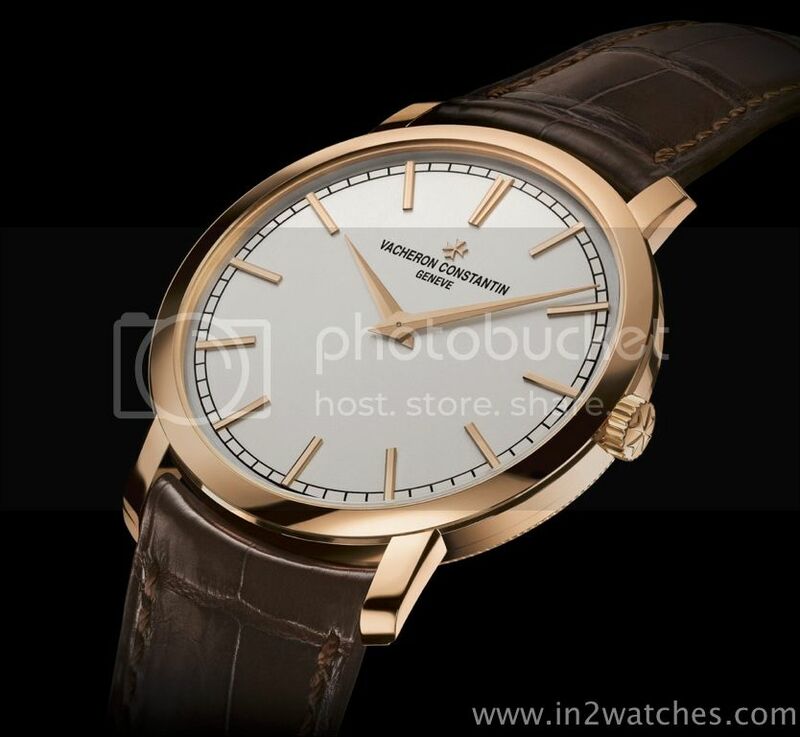 Vacheron Constantin today introduced a new Patrimony Traditionnelle Automatic. This new model meets the new Geneva Seal which is no longer confined exclusively to the movement, but also take the entire finished watch into account. The 41 mm dimater, 7.26 mm thick, 18 carat rose golden watch is as beautiful as all Partimony models of Vacheron Constantin are. 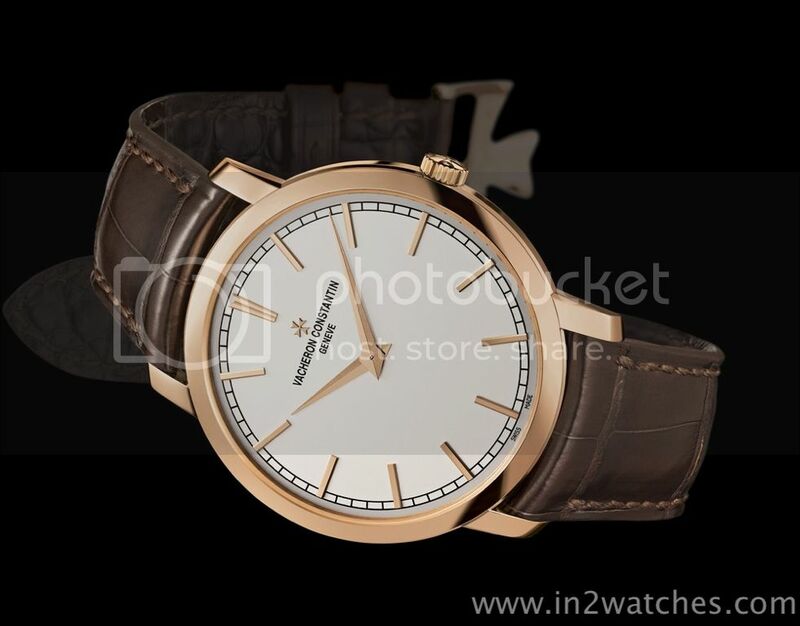 However the good news is that this version houses the highly appreciated ultra thin automatic caliber 1120. 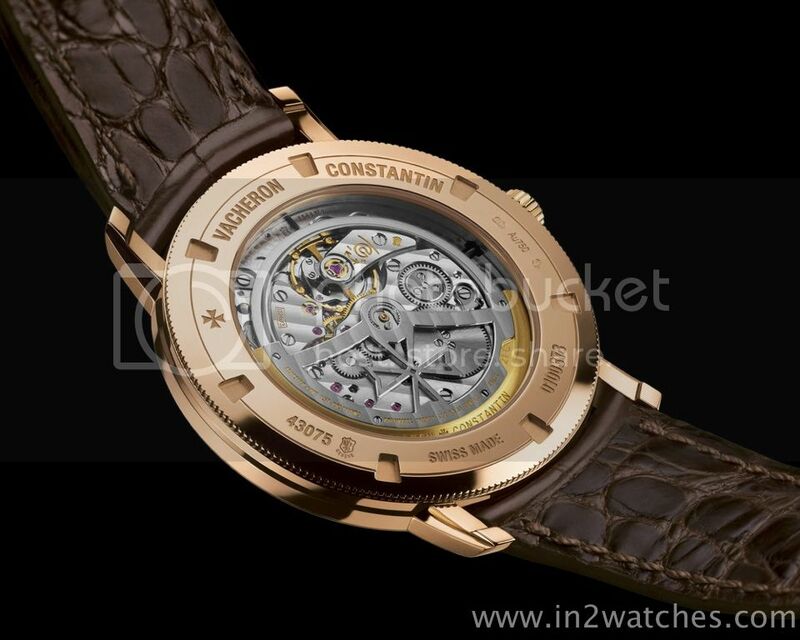 Vacheron is claiming here ‘developed and crafted by Vacheron Constantin’ which of course is mainly true (most of us in this league know the where abouts of the movement). However the best part of this statement is the finishing of the caliber used in this new Patrimony – which is happily visible because of the sapphire case back. The watch is fitted with a dark brown full scale alligator leather strap, and thank God, is not equipped with a folding clasp however a beautiful regular rose golden buckle in the form of the Matheser cross. This entry was posted on September 29, 2012 at 10:44 and is filed under all, front page, news. You can follow any responses to this entry through the RSS 2.0 feed.